Cut 12″ x 18″ pieces of construction paper into 2-inch strips, lengthwise. 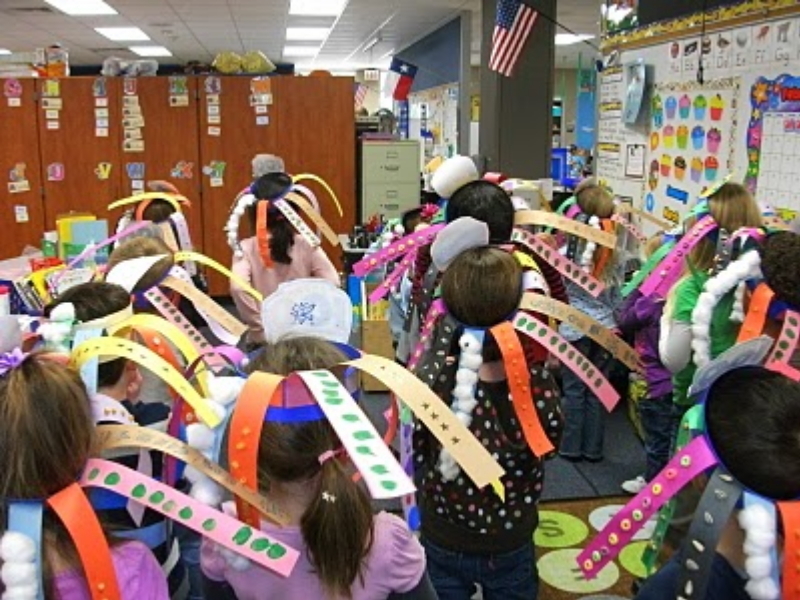 Provide each of your students with a strip to use as the band of their hat. 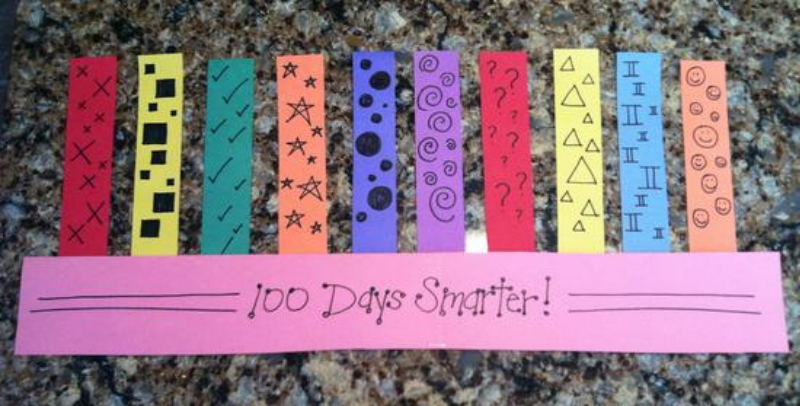 Using a marker, invite your students to decorate the band penning, “Happy 100th Day!”, “100 Days Smarter!”, “I survived 100 days!”, or another festive message. Cut 9″ x 12″ pieces of construction paper of assorted colors into 1-inch strips, widthwise. Provide each of your students with 10 colorful strips of paper and – using markers, stickers, paint daubers, or other craft tools – have them decorate each strip with 10 objects. Finally, size the bands to fit each of your students’ heads and have them glue the strips of paper to the inside of the band, creating a funky hat to wear! [NOTE: Encourage them to hold the strips in place for several seconds in order to make sure it will stick! A variation could have 100 strips in 10 different colors. Or five longer strips that arc up and over like a crown, each decorated with 20 items.